This harsh winter has claimed many victims in Massachusetts. We have seen everything from people being injured or killed in weather-related auto accidents, to fatalities involving outdoor recreational activities such as skiing or snowboarding to several accidents involving snow falling off roofs onto people below. According to a recent news article from NECN, two workers were recently killed in Canton, Massachusetts while clearing ice and snow off roofs. 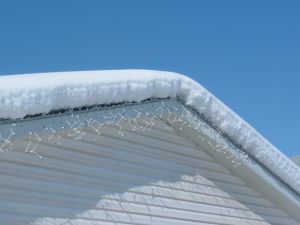 In one work-related accident, authorities say a worker was on top of roof trying to remove snow and ice when he unknowingly stepped on a skylight that had been covered with snow. When he stepped on the skylight, it gave way, and he fell approximately 40 feet to his death. First responders attempted to provide medical attention on the scene, and transported him to a local hospital, but he was pronounced dead shortly after arrival. In another Canton on-the-job fatality, a worker was on top of a roof working to remove snow and ice when he fell off the roof. He fell 30 feet to the ground and suffered severe injuries. He was taken to a Boston hospital by medical evacuation helicopter and was pronounced dead at the level one trauma center. Fatal workplace accidents are treated somewhat differently than less severe on-the-job injuries. In an typical workplace injury where a worker survives, the worker can file a claim to compensate him or her from time lost from work due to the accident and rehabilitation, as well as past and future medical bills. However, when a worker is killed on the job, his or her family will be left without their family member’s income for many years to come and may also have had significant out-of-pocket costs related to funeral expenses. In the Commonwealth of Massachusetts, the workers’ compensation act has taken this into account and provides for family to be covered for funeral expenses, as well a death benefits award to compensate families for that income their lost loved one will not be alive to provide for them. In some cases, a death benefits award for lost wages will be paid out in a lump sum. This is one-time payment to compensate a family for lost wages in a fatal work accident. In other cases, there will be a schedule of benefits payments to be made each month for a number of years. There can also be a combination award, which allows part of the death benefits award to be made as a lump sum payment and the remainder to be paid out to the family over time. While every situation is different, as the facts are never the same, some issues may arise when trying to determine an amount for workers’ compensation death benefits. The award is supposed to be based on the amount of money the deceased employee would have earned over the remainder of his or her life had the accident not occurred. While this may seem like simple math, many employer’s workers’ compensation insurance companies will try to argue an employee was in poor health and wouldn’t have lived as long as the family thinks. They may also claim the employee was not going to receive any merit based pay increases by claiming poor past work performance. The best thing you can do is make sure you have an experienced workers’ compensation death benefits attorney on your side through the difficult process.